This year’s flagship RHS garden at the Chelsea Flower Show has been designed by Professor Nigel Dunnett and is called the ‘Greening Grey Britain Garden’. Set in the context of an apartment block, the garden demonstrates the possibilities for growing plants in small and restricted spaces. This is something many people find a challenge, especially if the only space available to them is a small courtyard, roof terrace or balcony. However, the possibilities are actually quite diverse, meaning there’s no need to deprive yourself of a beautiful space just because you don’t have herbaceous borders! Planting in small spaces is something that is embraced all over the Mediterranean, especially Spain, where you will see rows of balconies draped in beautiful floral displays. 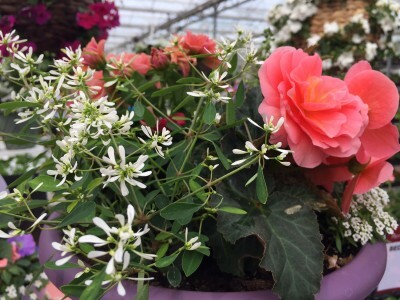 With a few careful plant and container choices, and the correct level of watering, you can create a little oasis of your own, reminiscent of those holidays to the Med! 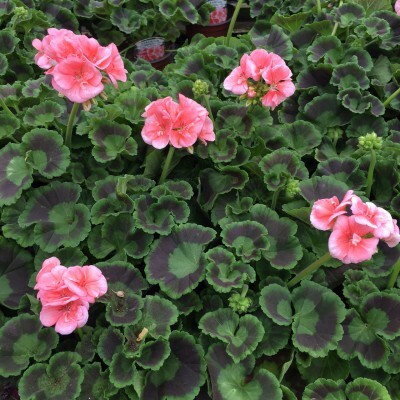 Zonal Geraniums – a popular bedding plant that has a bushy habit and long flowering in a range of colours with attractive foliage, perfect as the centre piece for containers and hanging baskets. As centre pieces Osteospermums and Dahlias also add impact and colour. 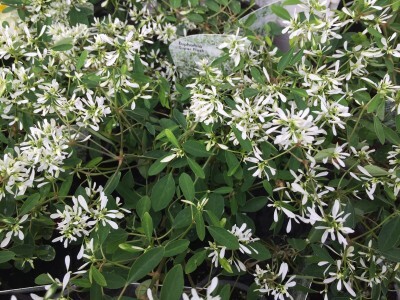 Euphorbia ‘Stardust Super Flash’ makes a great ‘filler’ plants as it’s mass of fine white flowers allows the central Geranium to stand out. If you have an outdoor staircase, maybe leading up to a front or back door, think about arranging a few pots up the side. 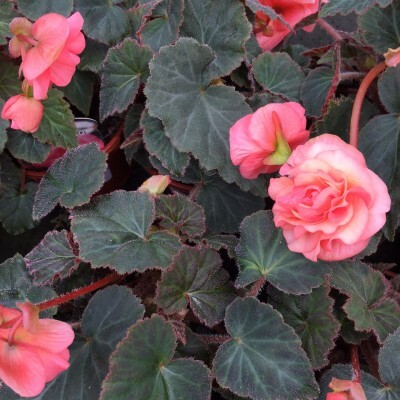 Choose a plant with a semi-trailing habit, like Begonia ‘Sweet Spice’ – launched last spring, this new variety of Begonia has a wonderful rose-like fragrance which you will be able to enjoy as you pass up the steps! 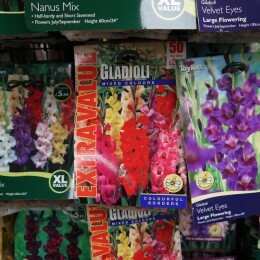 It is very easy to grow and the flowers will last right through to autumn. 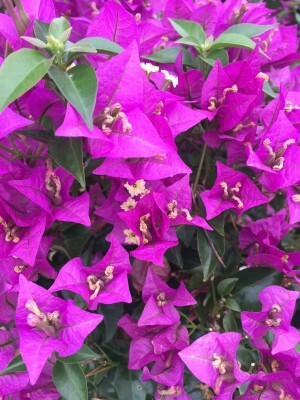 If you haven’t any outdoor space at all, you can still create those holiday memories in your holiday, especially if you have a warm south-facing window, perfect for a Bougainvillea sanderiana which thrives in full-sun. Plant in a terracotta pot and train up a trellis or support to achieve that quintessential Mediterranean look! 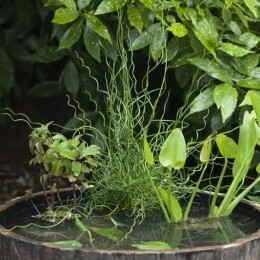 Plants in hanging baskets and pots will always need more watering and feeding than those planted in the ground, but by mixing together Gardman Water Storing Crystals and Gro-Sure Slow Release Granules with a quality container compost, you can help to reduce the need to water and feed so frequently. 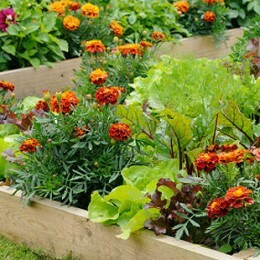 However, we do recommend topping up with a liquid feed like Gro-Sure All Purpose Plant Food in order to have beautiful blooms all summer long! All this Summer we will be helping you to ‘holiday at home’ and to bring plants and products into your home and garden which remind you of being on holiday. 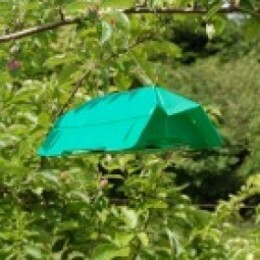 Look out for more hints and tips online and in-store.